Nowadays, the backup function of iCloud offered by iOS is extremely powerful. The reason why I say so is that it not only enables contact transfer between Apple’s operating systems, but also actualizes contacts export as a format of Vcard which is fully compatible with Android. To most of us, contacts are important, even more important than the phone itself, especially to businessmen. So if you want to restore the previous iPhone contacts to new Android, compared with transferring contacts in batch directly from iCloud Backup to Android, will you choose to enter the contacts’ numbers one by one on your new phone? Of course not, that is the ancient practice. Now we will offer you 3 step-by-step solutions in the sections below for your convenience. The method introduced here is mainly through using Apple’s cloud system and it is very simple because all you need to prepare is your iCloud account and the USB line of your Android phone. Step 1. Click on this link https://www.icloud.com/ and log into your iCloud account. Step 2. Click the icon “Contacts”. Make sure that the iCloud account logged into on your computer is the same as it logged into on your iPhone, and you are supposed to turn on “Contacts” in the Settings of iCloud. Step 3. Choose contacts that you intend to restore. 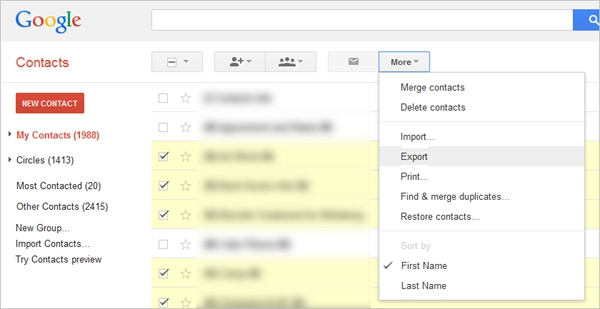 If you need to restore all contacts, click the icon in the lower left-hand corner and choose the option “Select All”, if you don’t need all contacts, you can choose them one by one or use the “Ctrl” key. Note: Pay attention to the option “Select All”, or you won’t export all the contents. Step 4. 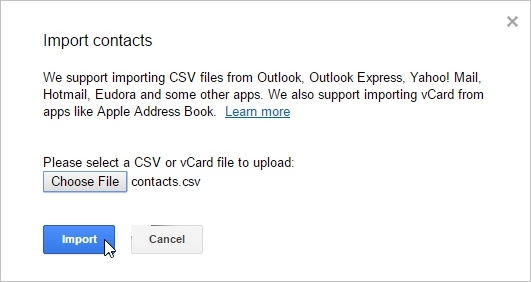 Click the icon in the lower left-hand corner and choose the option “Export vCard”, and your computer will download a VCF file containing the chosen contacts. Step 5. Connect your Android phone to your computer, click Contacts on your Android phone, and select “Import/Export contacts”, “Import from USB storage” or “Import from SD card”, then you will discover all contacts are imported magically. In case your phone is involved with Google’s system, we introduce another method to you. The method introduced here is mainly through using Gmail and it is a bit similar with the method one or even easier than it. Here you need to remind yourself of your iCloud & Gmail account and password. At first, the operational process of iCloud Contacts’ export is the same as it in Method 1. Step 1. 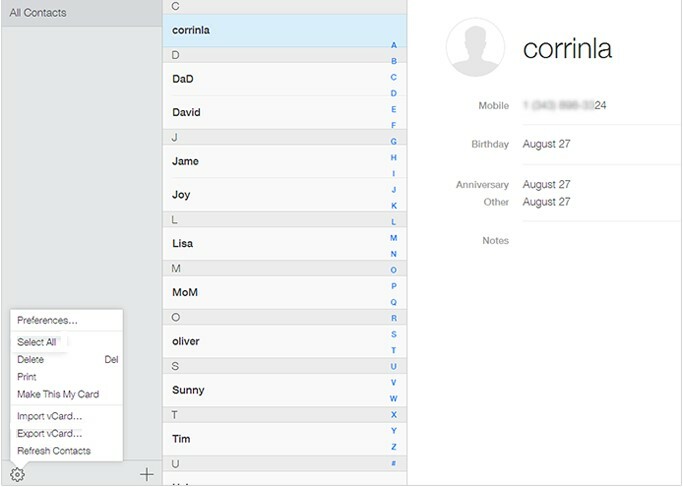 Go to Google Contacts from computer browser. Step 2. Click on “More” and Choose “Import” option. Step 3. Choose the VCF file containing contacts that you intend to import, then the contacts will be automatically synced to your Android phone which is connected to this account. Note: The same Google account logged in on the computer and the Android phone will be automatically synchronized. 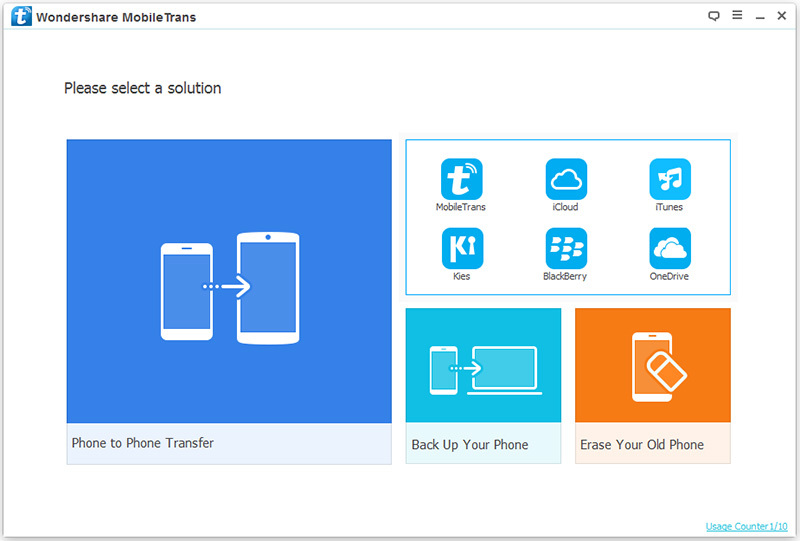 What I recommend strongly is this powerful tool – Phone Transfer, with the help of it, you can transfer contacts from iCloud Backup to the Android phone directly in real time with just one click. Your contacts which include names, phone numbers and email addresses can be transferred perfectly and data loss is the problem you can relieve of. The process is much more convenient than what I have mentioned above. In the following, you will be aware of it. Step 1. Download, install and launch this app – Phone Transfer. Step 2. Click “Restore From Backups” in the upper right of its main screen. And press the blue button to enter, choose “iCloud”. Step 3. Download iCloud backup, and connect you Android phone to your computer. You can see all your iCloud backup files on the left, and you can tick your wanted contacts in the left-hand box according to your needs, and then press the download button. Note: You are advised to keep you computer online and keep patient because the process may takes you a bit while. You can see your files containing your wanted contacts are shown in the middle box. Tick what you need and press the blue button “Start Copy “. Note: There is an option in the lower right, “clear data before copy”. You are suggested not ticking it in case the text messages in your Android phone will be covered. I have already listed three ways to show you how to restore iCloud Contacts to Android, but as what I have mentioned at the beginning, there are multiple approaches to this problem. 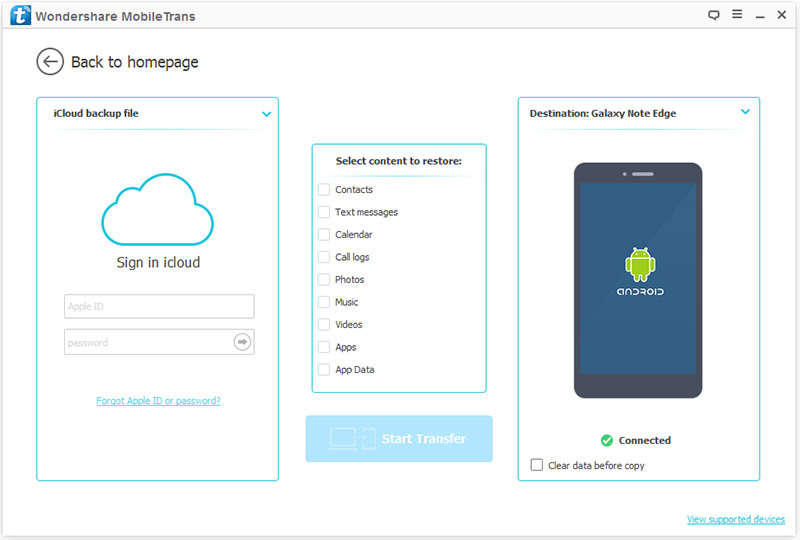 I have tried out so many solutions and I prefer Phone Transfer most because it is equipped with a lot of strengths, for example, it helps you save your time, you don’t have to log into cloud service of your old phone for purpose of exporting data, and then log into cloud service of your new one to import data any more. The above comments represent only my personal opinions and I hope these ways can do you a little favor. Plus, it’s definitely wise to backup your data often.